Residents of Southdowns and Baton Rouge have enjoyed the footpath median along Stuart Ave from Hyacinth to Perkins. Many walk their dogs, take a jog, walk to school or catch the Southdowns Parade along this route. 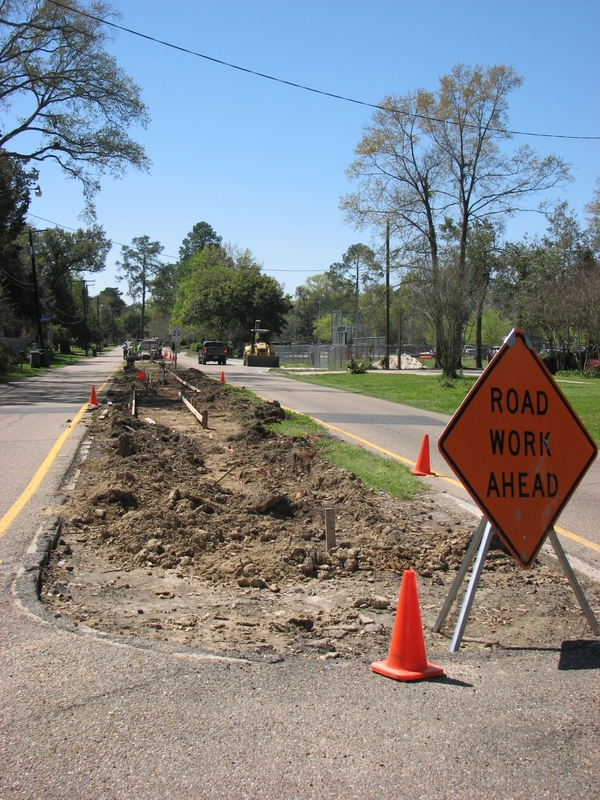 Craig at City of Baton Rouge Architectural Services tells me that the new footpath on Stuart Ave. in Southdowns will follow the existing route. Metal bollards will be installed in the area in front of St. Aloysius school to prevent passing during high traffic times as well. The median will have flower beds, trees and various bushes (Indian Hawthorne and Holly ). This is a 90 day project that had a notice to proceed on February 14. Tagged: Baton Rouge, LA, Southdowns, Stuart Ave.